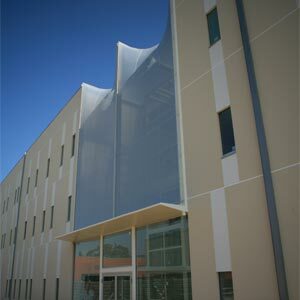 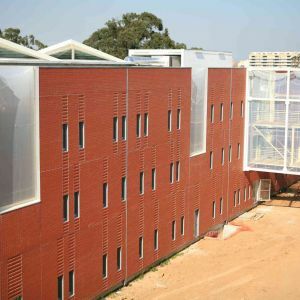 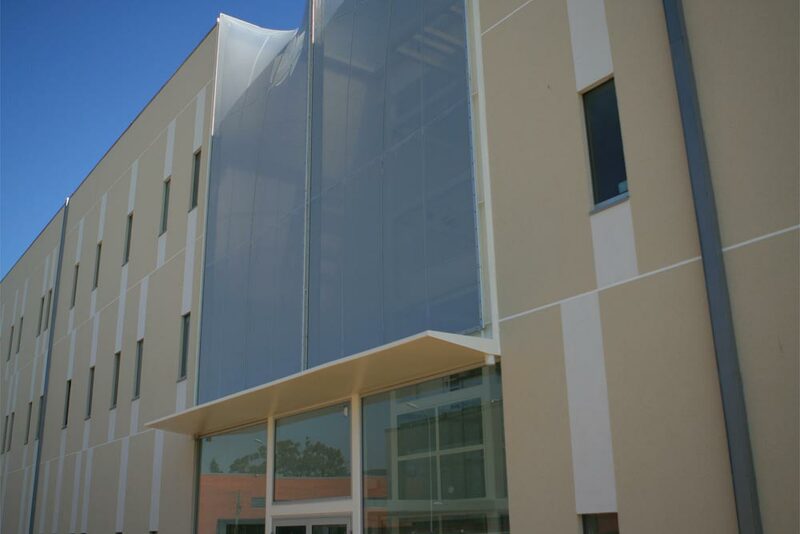 The New Superior School of Health forms part of the University of Aveiro. 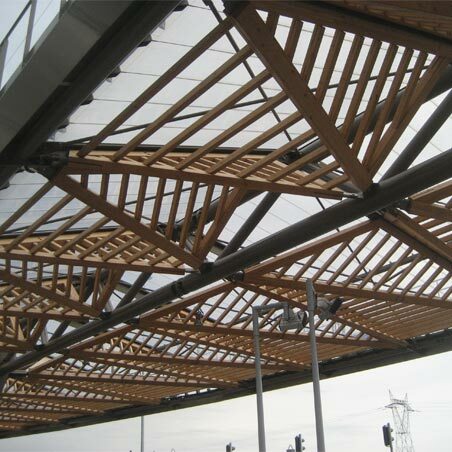 The complex consists of two pavilions aligned and connected by two bridges. 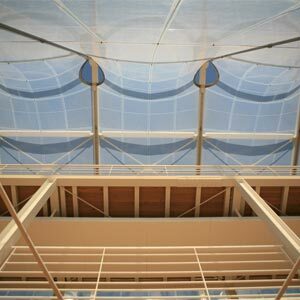 The construction used in the buildings contrasts with the lightness of the two connecting bridges and openings in the facade constructed with ETFE sheets. 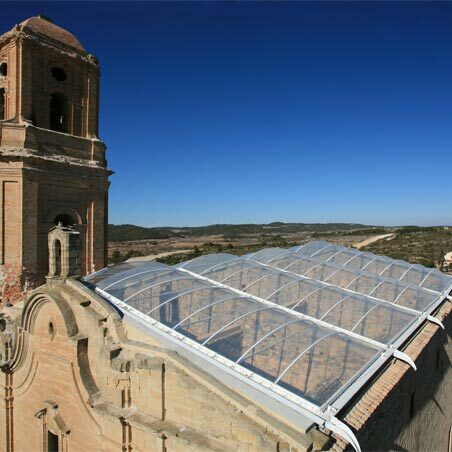 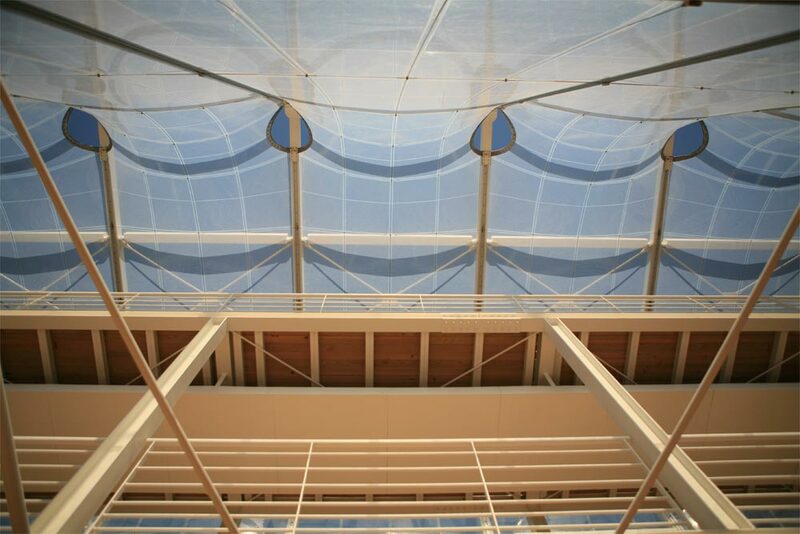 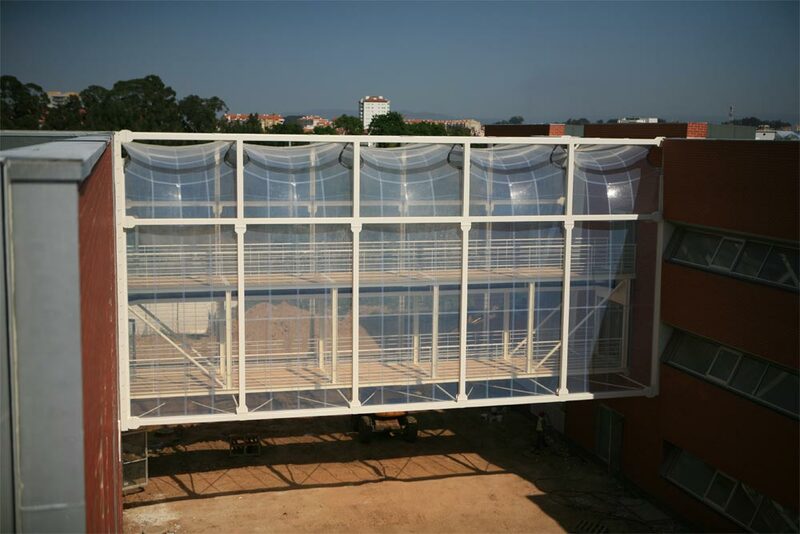 Between the interior facades two ETFE cladded foot bridges are supported with a length of over 18 meters and a height of 8.5 m. The transparent enclosure allows natural ventilation through the elliptical top vents. 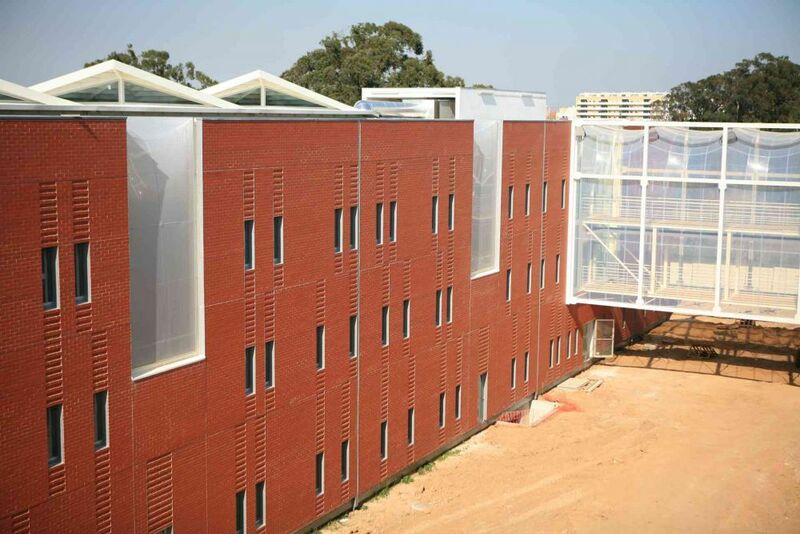 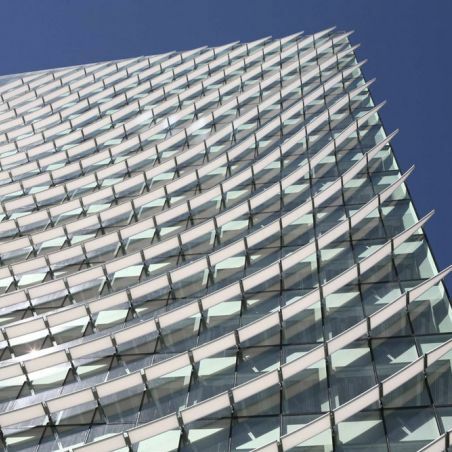 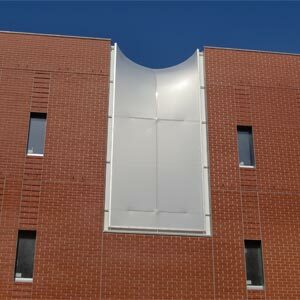 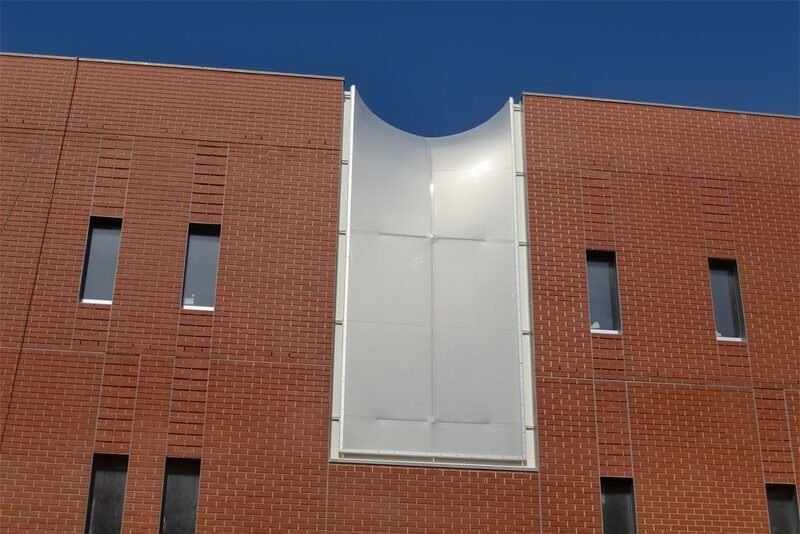 On the facade of one of the buildings, its openings are closed by a double layer reinforced by cables, which achieves a good thermal insulation and a great passage of natural light. 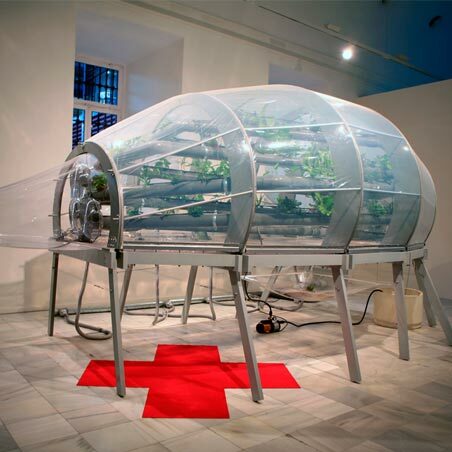 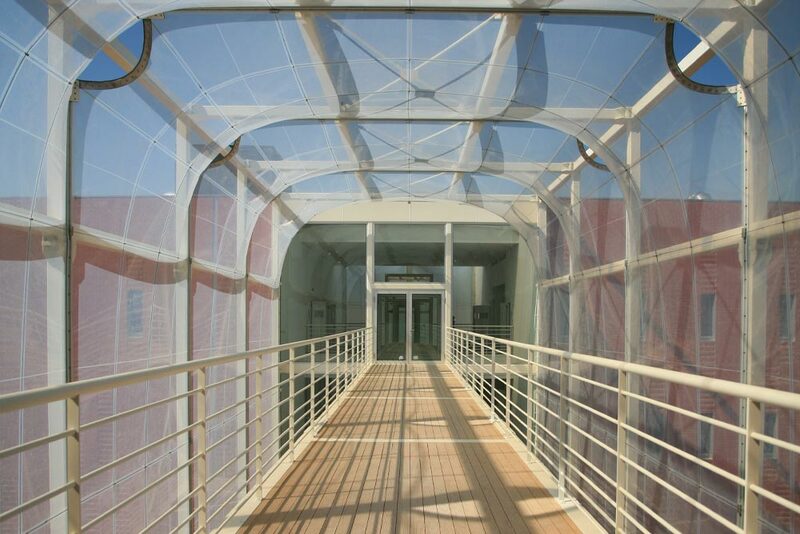 In the buildings: double-layer of ETFE sheets of 250 microns printed / 250 microns transparent. 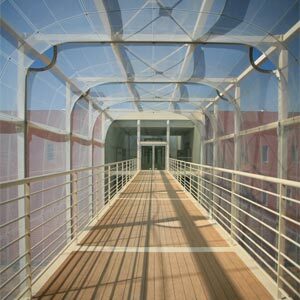 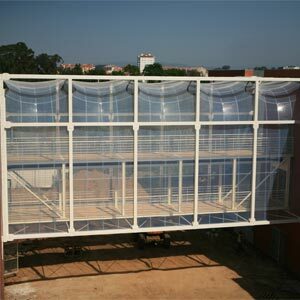 Footbridges: monolayer sheet of transparent ETFE of 250 microns.